Volt Elezoid is the name of an currently unreleased Super Assault Bakugan. It will be in the BakuBolt series. In ball form it looks like Rafflesian and Freezer. In Bakugan form Volt Elezoid looks similar to Tentaclear. 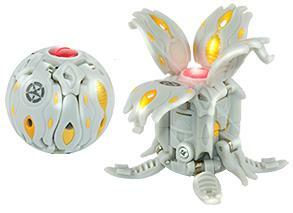 Purchase your Volt Elezoid Bakugan from Amazon now!